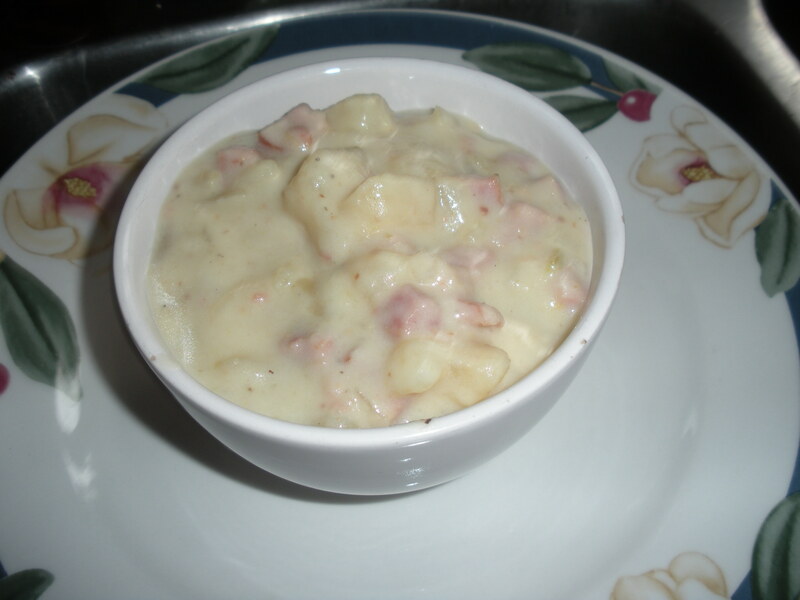 This creamy ham and potato soup is amazing! 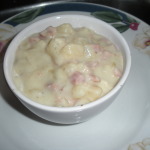 It’s so rich and creamy and filled with chunks of tender potato and sweet delicious Sugardale ham (my fav). This soup takes you back home to your Mother’s kitchen on a cold winter evening, when a bowl of this soup and a hot buttered biscuit was everything you wanted and all that you needed! Add chicken broth to a 6 quart stock pot. For the ham, I used and recommend Sugardale ham. I used left over pieces of Sugardale's whole, boneless ham. Amazing!